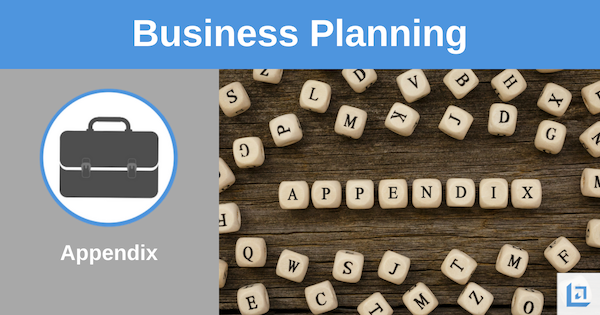 The business plan appendix section contains important resource data and documentation to support various sections of your business plan. This information may contain some highly sensitive material so it's important to qualify who gets to view this section of your business plan. As you work through the various sections of our Business Planning course you’ve continually been advised to be brief, clear and simple. However, you can’t assume the reader won’t want to dive into your plan in greater detail. Therefore, by including supporting materials in the appendix you can meet the expectations of every reader. Providing a comprehensive appendix will add credibility to your plan and go a long way toward convincing your reader you’ve got a solid business idea. Moreover, it will demonstrate to the reader that you’ve thoroughly thought through your plan. The information provided in the appendix of your business plan should be considered highly confidential because it supplies the reader with information about the organization that you may consider to be proprietary and confidential. Your business plan is a tool for you to communicate your investment and resource needs to key leaders or potential lenders or investors. The primary takeaway here is that the appendix information should be held closely for only those most serious and committed business partners and investors. "There is no development physically or intellectually without effort and careful planning to protect and maintain a competitive advantage." 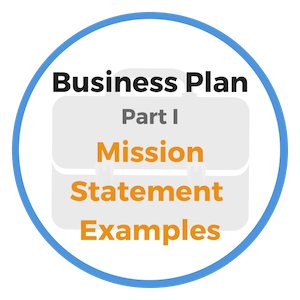 Your business plan appendix will back up any key claims or assumptions made in prior sections of your business plan by including all supporting materials. Business owners and executives must closely control any and all copies of the business plan and supporting documentation. Maintain a master distribution list of all who have been provided a copy of your plan. This will also make it easier in the event you need to distribute any updates you make to your plan. Before placing any items in the business plan appendix, confirm that the item is 100% accurate and relevant to the reader. "You need a plan to build a house. To build a life (or a business), it is even more important to have a plan or goal." Hopefully by now you understand the value that creating a business plan can have on the future of your business. A business owner who plans out thoroughly what it will take in order to achieve greater success holds a distinct advantage over the one who simply leaps forward with no clear plan. A business plan is a very important tool. There are three main purposes of a business plan. First, to ensure effective communication; second, to support and direct management; and third, to attract and retain the support of investors and business partners. 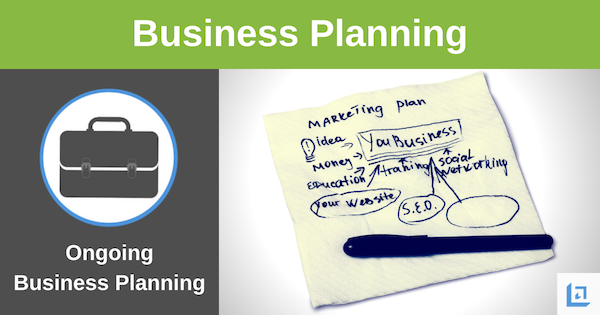 Almost every phase of your business is captured and analyzed in the business plan. The feedback you gain from others you've asked to fully critique your plan is invaluable. Use this feedback to rework and improve your business plan, thereby increasing your chances for success. As a management tool, the business plan will help to keep you and your team members on track toward meeting your goals. As you track progress and compare your results to the projections you stated in your business plan you can quickly confirm if you are on track or not. Many business owners share details of their business plans with their employees. This is recommended as the more your team members clearly understand the goals and objectives detailed in the business plan the greater your chances of success. Create energy within your team to meeting the time targets detailed in your business plan. Provide rewards and recognition around meeting key milestones. Make the realization of your business goals a team sport where if the business wins, everyone wins. Before writing your concluding statement, go back to the beginning to fine-tune and finalize the Executive Summary section of your business plan. Some will confuse the conclusion statement with the executive summary, but these sections are different. 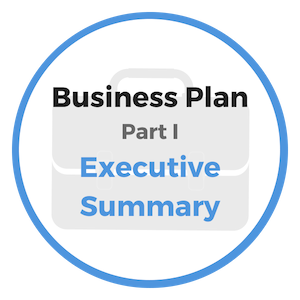 The Executive Summary briefly explains what the reader is about to learn within the business plan. The Conclusion is a brief statement from you to the person reading your business plan, which explains your passion, commitment and resolve to make the business successful. More importantly, you’ll explain how the reader will benefit by investing in your business – AND BY INVESTING IN YOU! Thanks for taking our free Business Planning course. Wishing you all the best in your new endeavor. Many who utilize our business free plan template tool do so in an effort to grow and expand their business. Business owners often seek funding to upgrade their equipment and gain greater efficiencies through improved technology. Successful business owners understand that their competitors are already working on that big thing that is just around the corner. They know that in such a progressive business environment, their customers want to patronize the most modern and unique establishments, or acquire the newest version of their current device. A reputation of being out-of-date; behind the times, no matter what your business or profession – will soon make itself felt through loss of income. Your patrons will eventually leave you to enjoy the advancements in the marketplace that are offered elsewhere. Detours from a competitive focus should actively be avoided. Every year will bring new changes in the requirements of your business to remain competitive and on the cutting-edge. Leaders who anticipate change and are ready to meet these challenges head-on will enjoy the blessings of a growing business. Thanks for reading about the Business Plan Appendix and Conclusion. 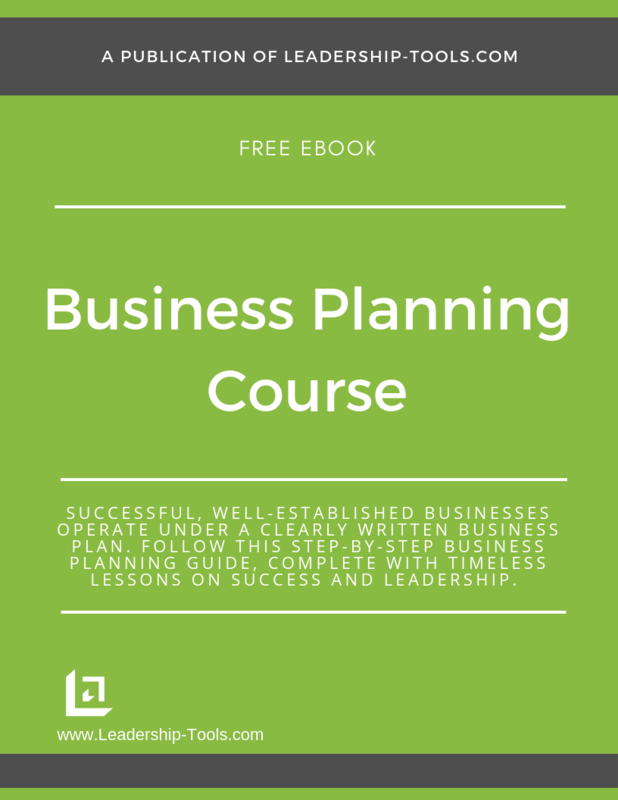 To download our free Business Planning Course/eBook, complete with step-by-step instructions for planning the future of your business, simply subscribe to our free newsletter. You will immediately receive a password that grants access to our entire leadership tools library.